SFMS – Patron Services : CIS Technology, Inc. The more comfortable you can make your guests – and the more options you can provide at the machines they play – the longer they are likely to stay. At CIS we are always working on the development of tools that will provide ease-of-use for your customer and provide options that work seamlessly with hospitality areas of your property. These are solutions for your guest and solutions for your floor – Computer Integrated Solutions. The Patron Services SFMS module meets that criteria and then some. 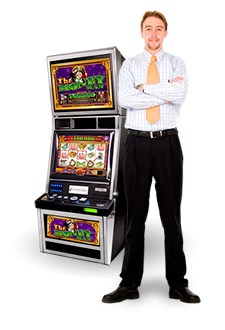 With Patron Services, your players can request beverage, slot host, valet service, or other custom request via keypad request right from the machine they are playing. These requests are then filtered by department, or service group, for easy segmentation of responsibility and fulfillment. This includes other areas of your property in meeting the needs of your customers and in working as a team to ensure their experience is positive and rewarding. These are types of advantages that your guests will remember and come back for – again and again.